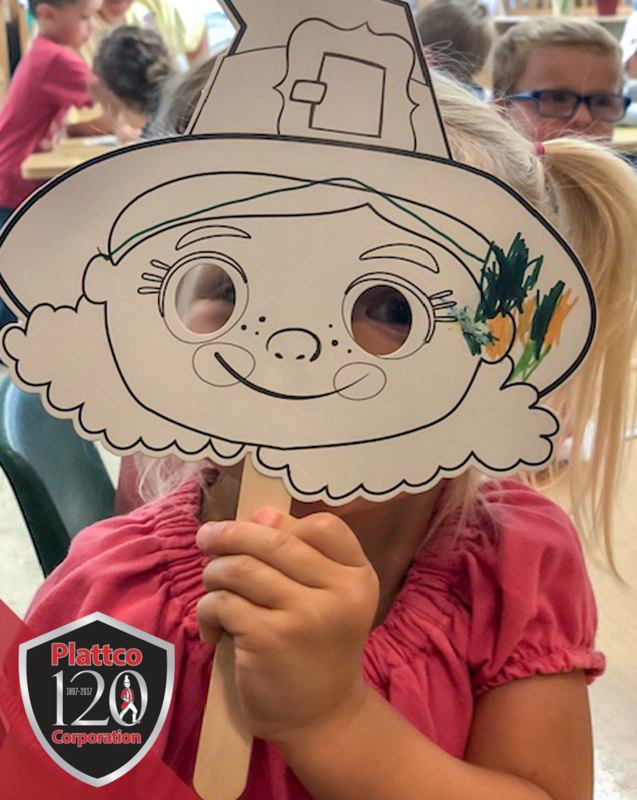 Plattco has been actively involved in our local community for 120 years, and we are always looking for ways to engage and give back to the local area and people - after all, we wouldn't be where we are without them! 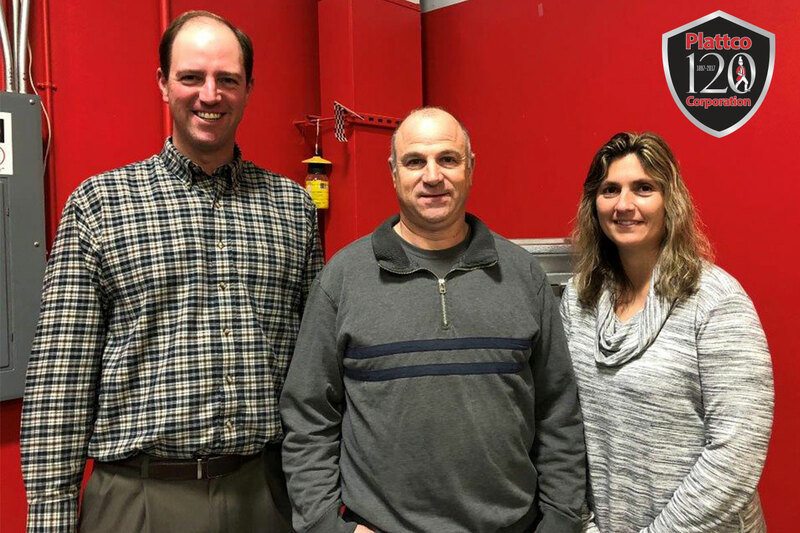 Plattco is involved in the community in a variety of organizations, including our local North Country Veterans Association. 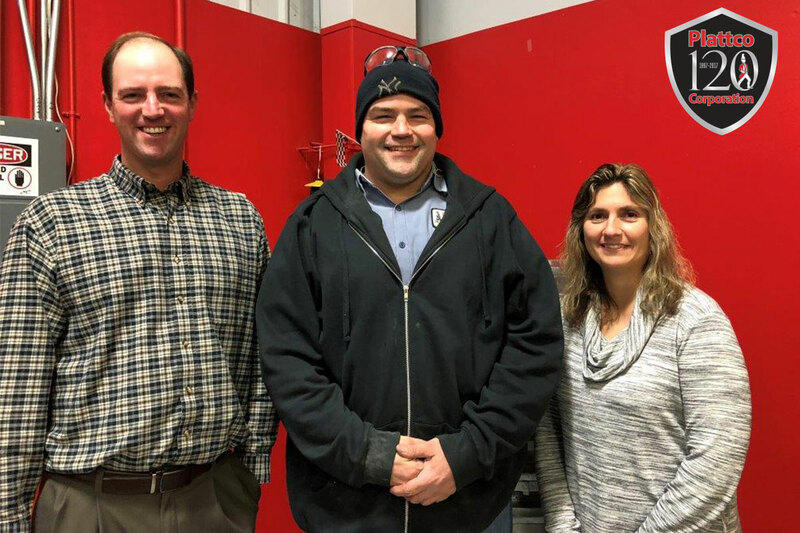 Of our 62 employees, we have 7 that were active duty military and represent all of the branches of the armed forces. 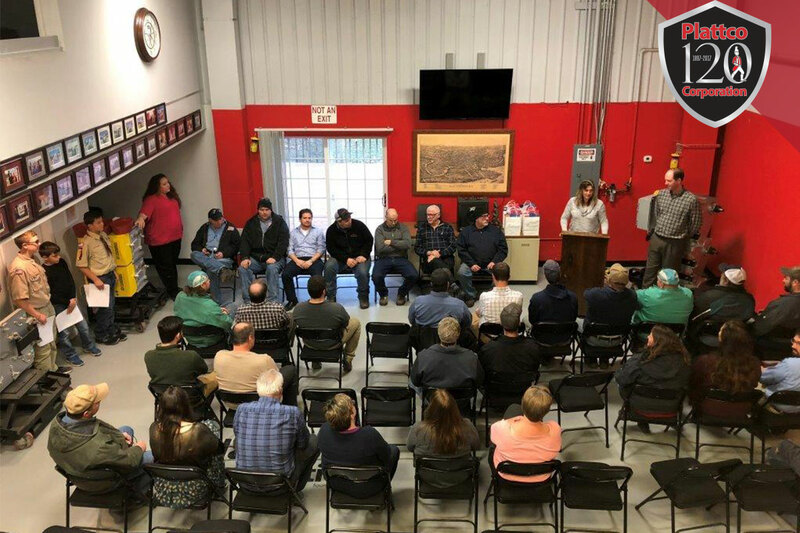 This past Veterans Day, we hosted a celebration thanking them for their service, which has ultimately contributed to allowing us to remain a US-based manufacturer for over 120 years. 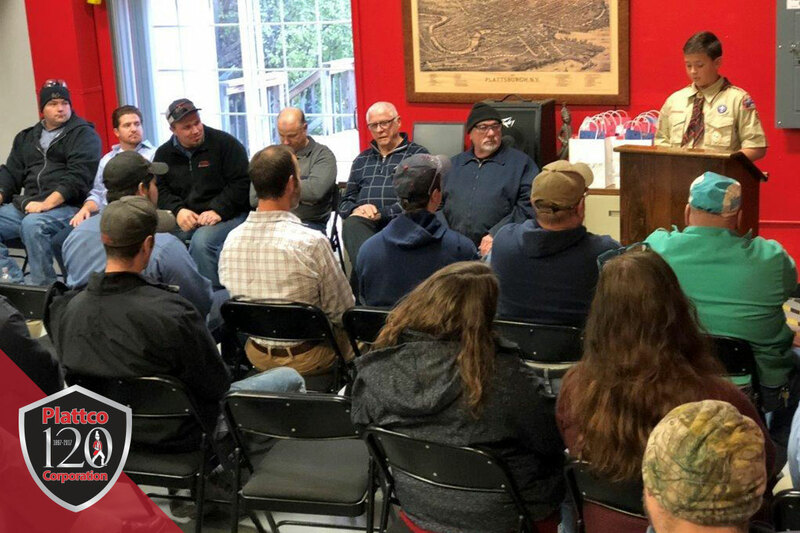 We assembled all of our employees into the showroom and provided an afternoon snack of sweets and refreshments to simply recognize and thank our employees who have sacrificed for our country. 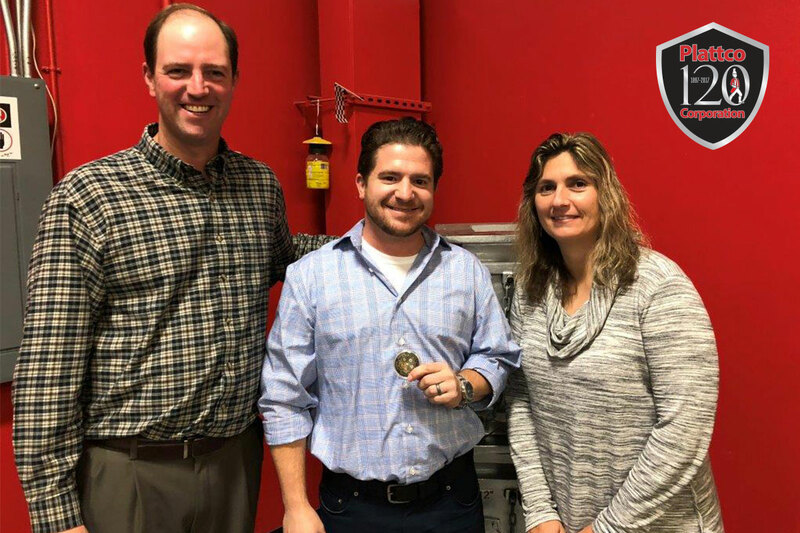 Each Veteran employee was presented with a Challenge Coin, a handmade picture, and a thank you on behalf of Plattco for their service. 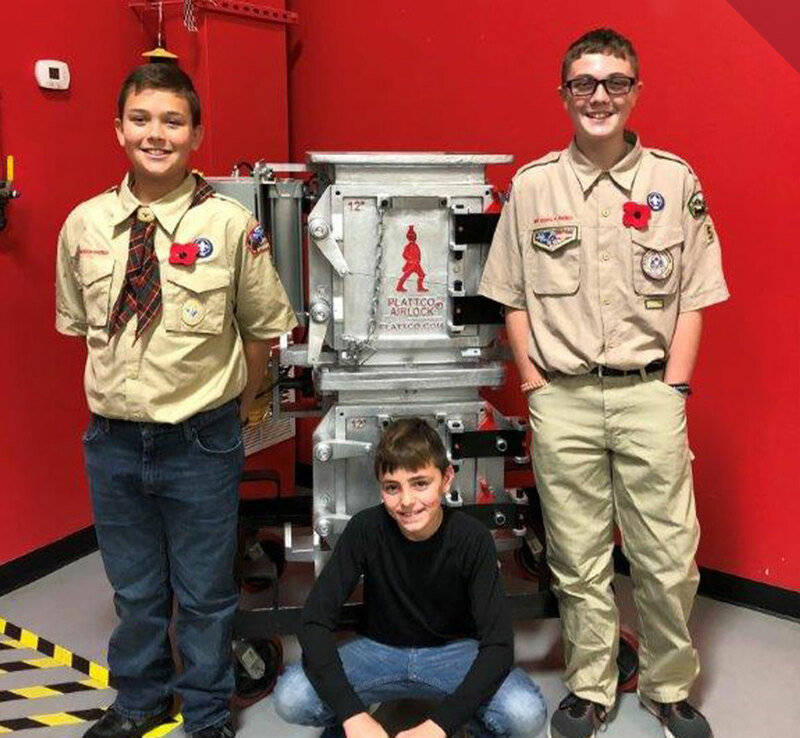 We were also lucky enough to get several volunteers from one of our local Boy Scout and Cub Scout Troops. These young men came into Plattco on their day off from school to read and honor our employees for their service and express our gratitude. 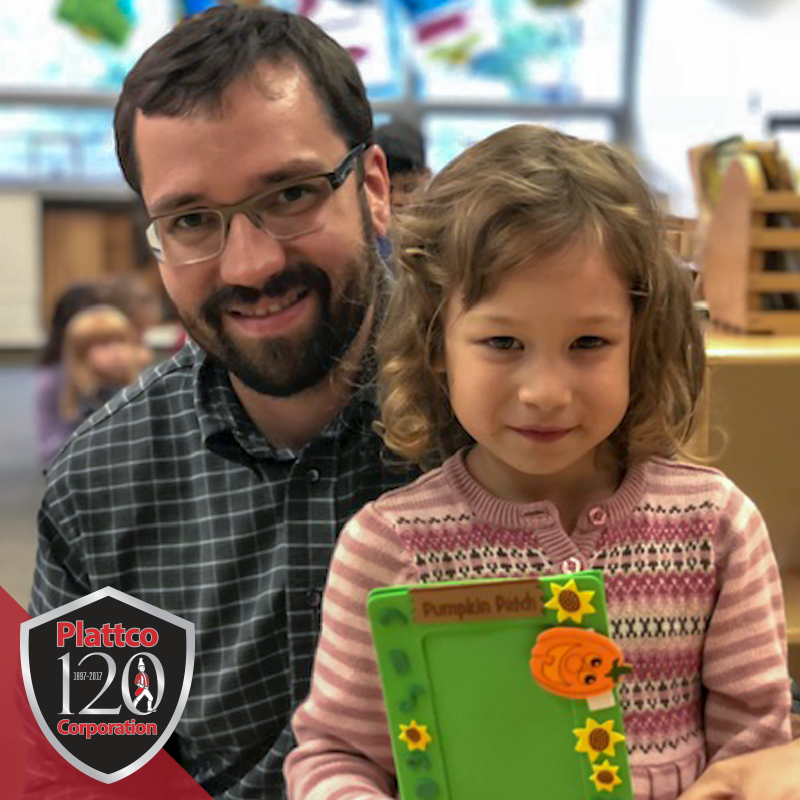 Just one of the many ways Plattco is proud of our employees and our local community! 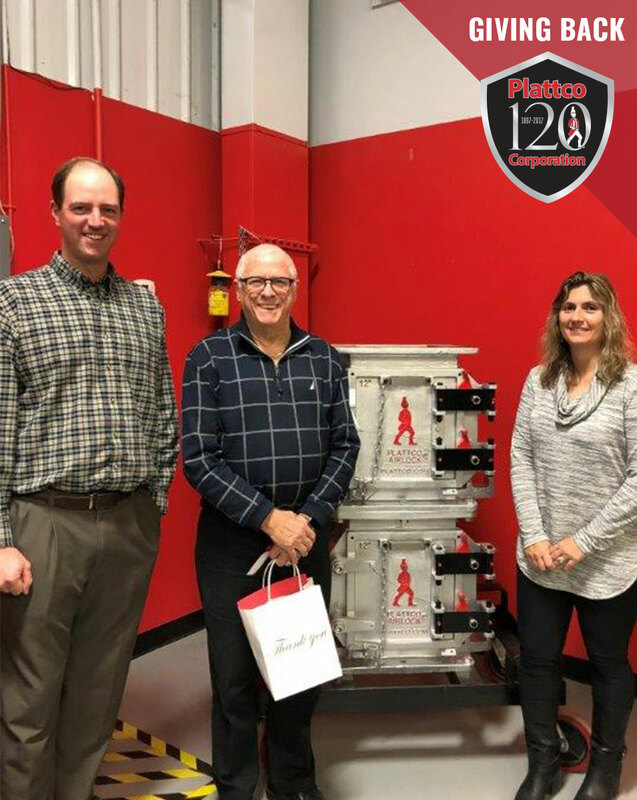 Plattco understands that being a 121 year old company in Plattsburgh we owe a lot to the community that has welcomed us for the last century plus. 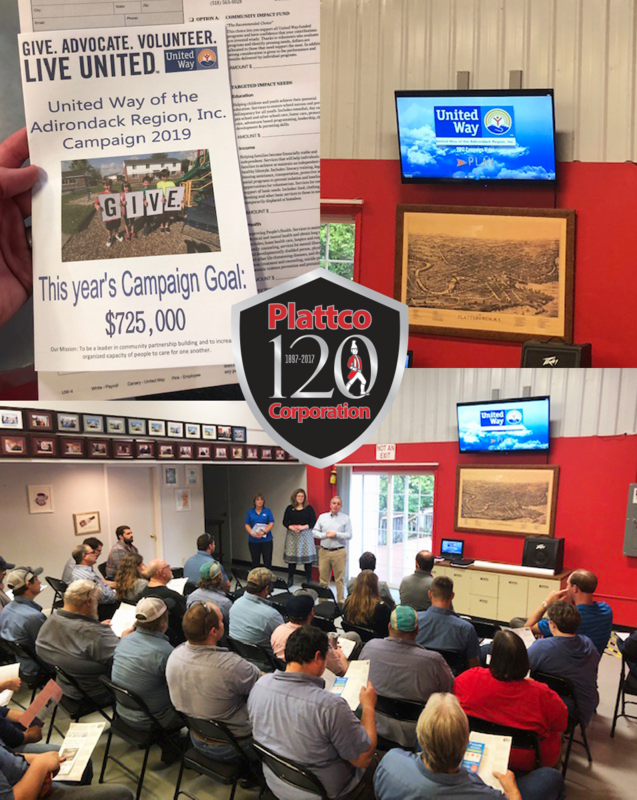 Plattco is a proud supporter of our local Chapter of the United Way. 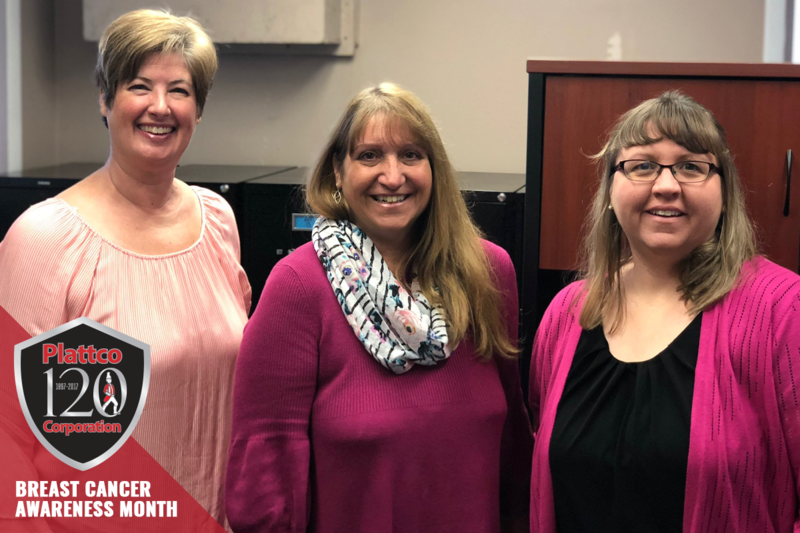 This fall Plattco hosted Hannah Provost, John Bernardi and also Kathy Snow from our local office to kick off our giving campaign. 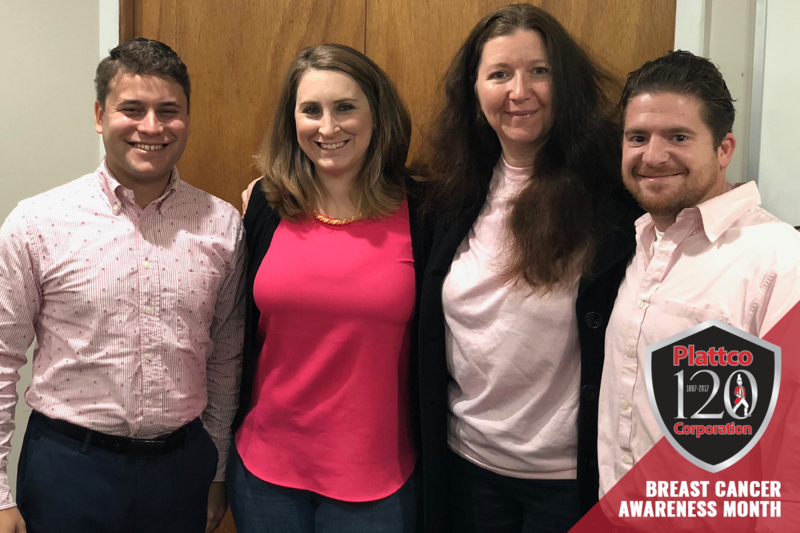 We are proud to announce that this year we had 23 of our 62 employees donate to the local campaign pledging a total of $5,634! 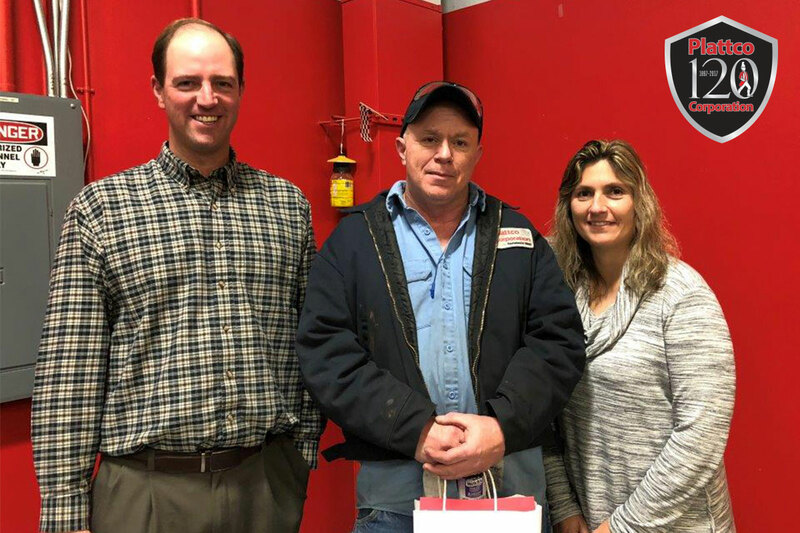 In addition to the dollars Plattco donates we are also always willing to volunteer labor, skills and talents for various causes throughout the year when called upon. 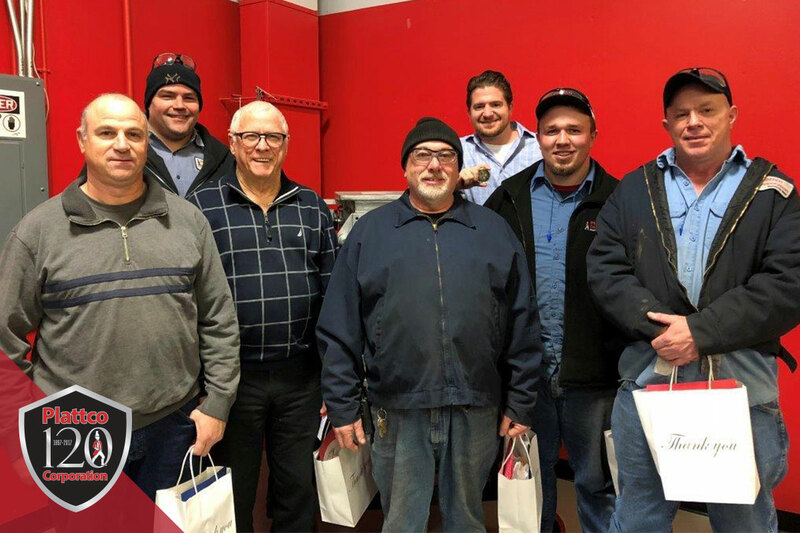 One of our of Company’s favorite new traditions is getting involved in our local day of caring each spring – sending dozens of volunteers into the community to assist where needed! 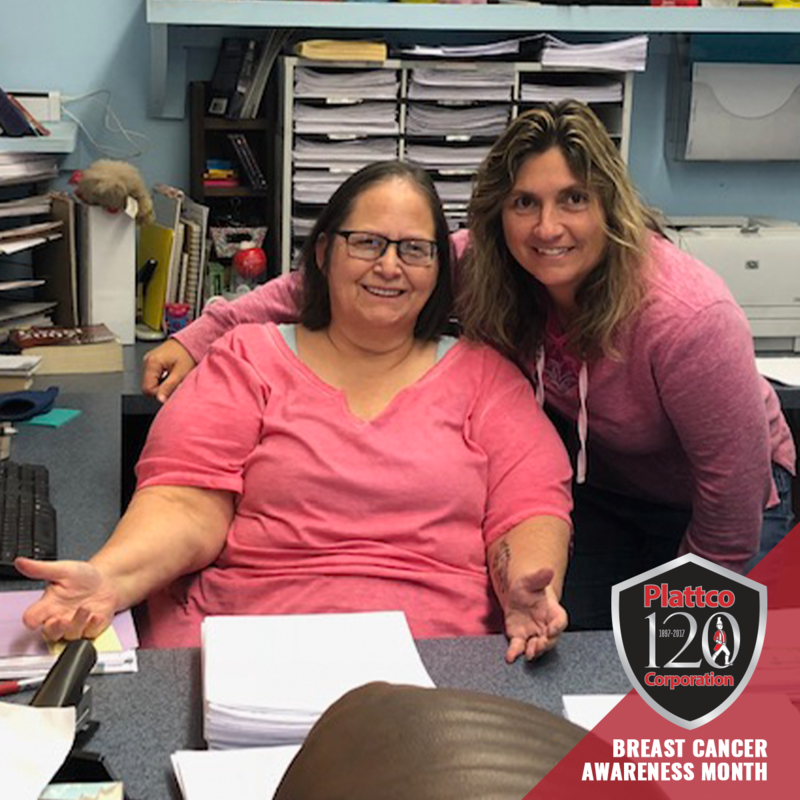 Plattco went Pink for Breast Cancer! 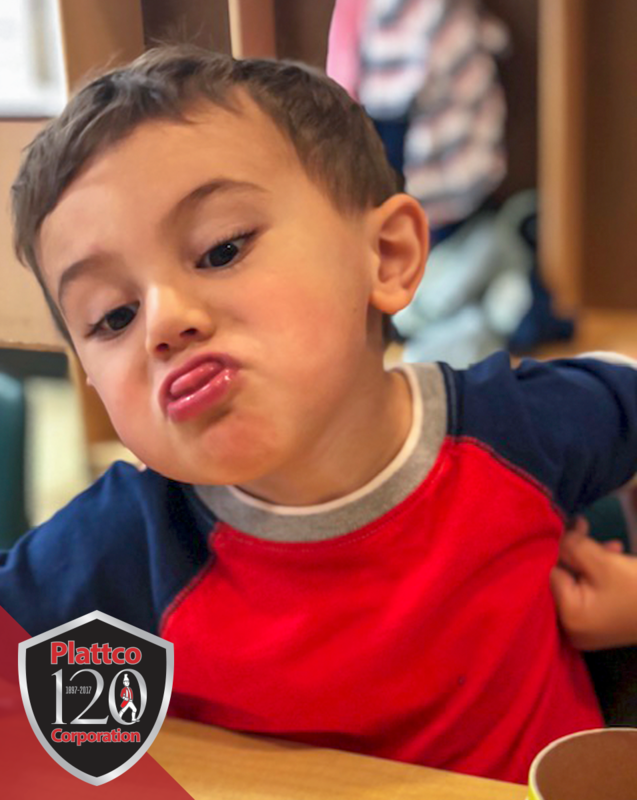 Plattco has been around for 120 years we are constantly trying to innovate and solve our customer’s dry material handling problems, while at the same time we like to have a little fun and find new ways to engage with our customers and local community. 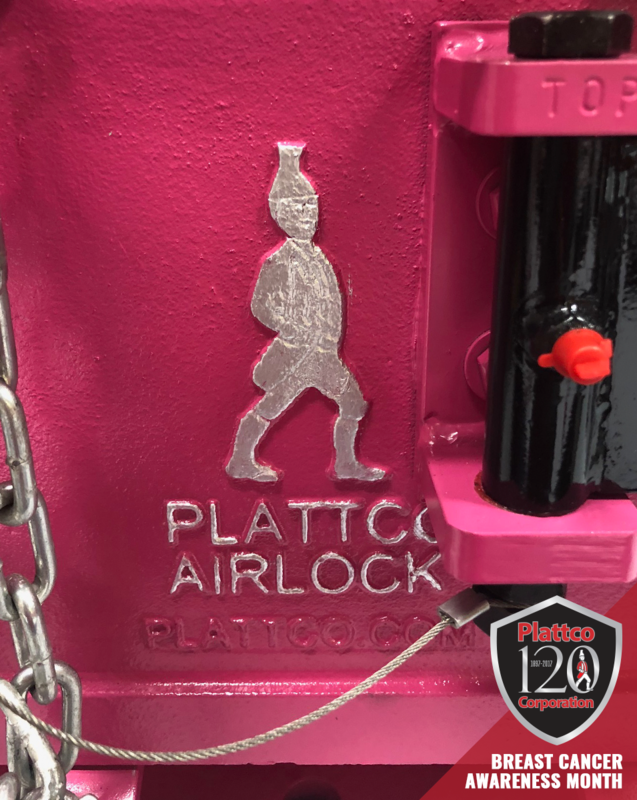 For the first time in 121 years Plattco went Pink! 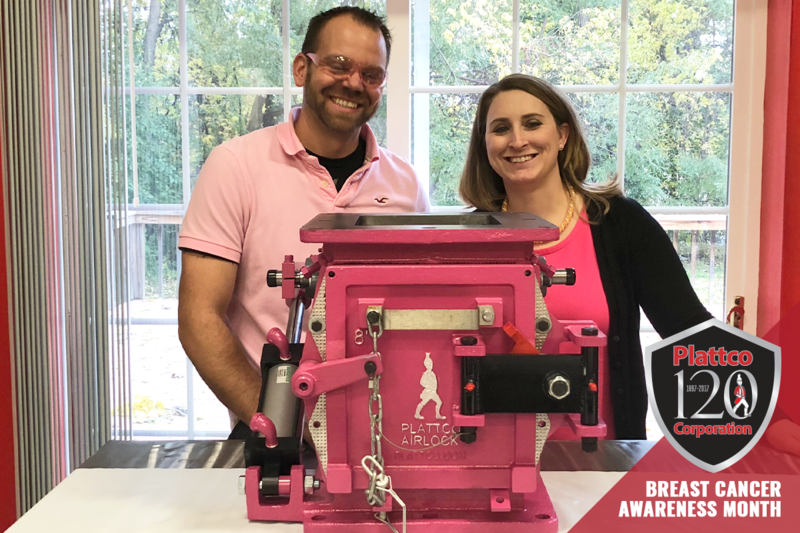 In support of Breast Cancer Awareness month, Plattco worked with our supplier, PPG Paints (ICI), which is located right here in Plattsburgh, generously donated the Pink Paint when they learned about what we were doing. . Ashley Miner, from our sales department, convinced one of her customers to deviate from our standard silver valve to be the first customer in Plattco history to have a hot pink valve for install. The customer was very excited and eager to see Plattco’s commitment to this worthy cause. 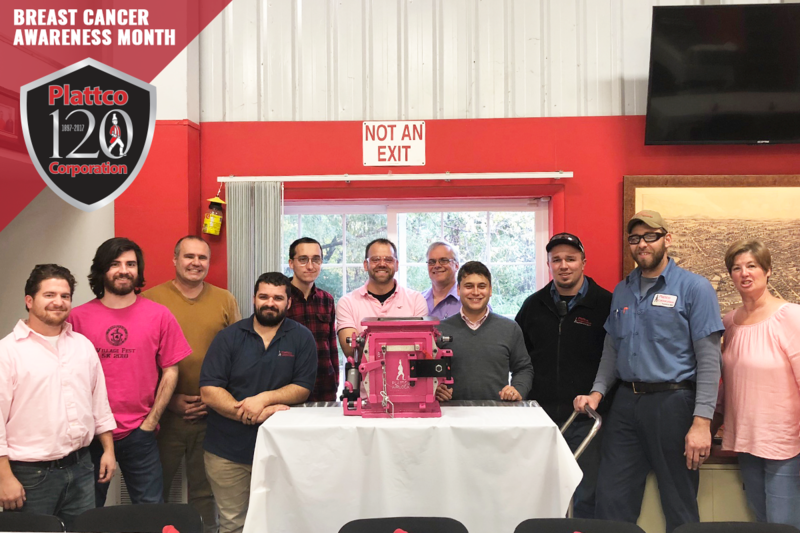 The day the valve shipped Plattco employees wore pink in support of Breast Cancer Awareness and helped us have a brighter day as a result. 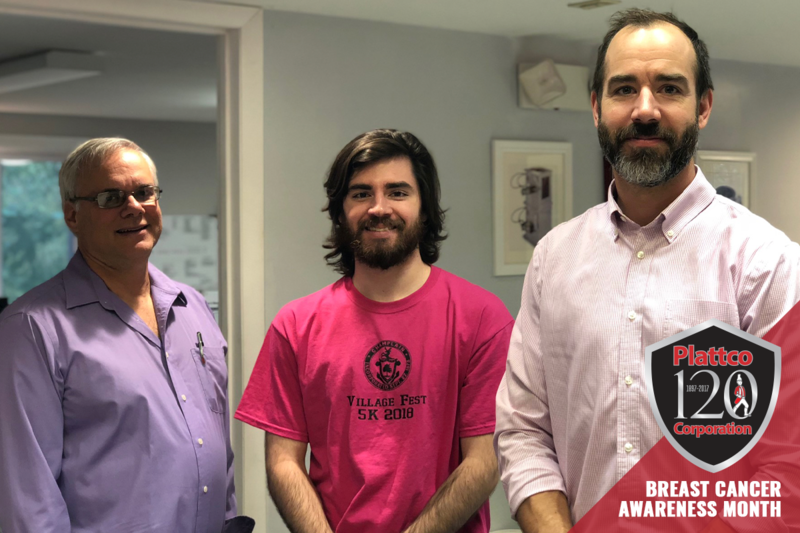 Mike Aubrey, went above and beyond and while painting this pink valve he even made sure to upgrade his safety glasses to pink safety glasses and he traded in his uniform shirt for a pink polo! 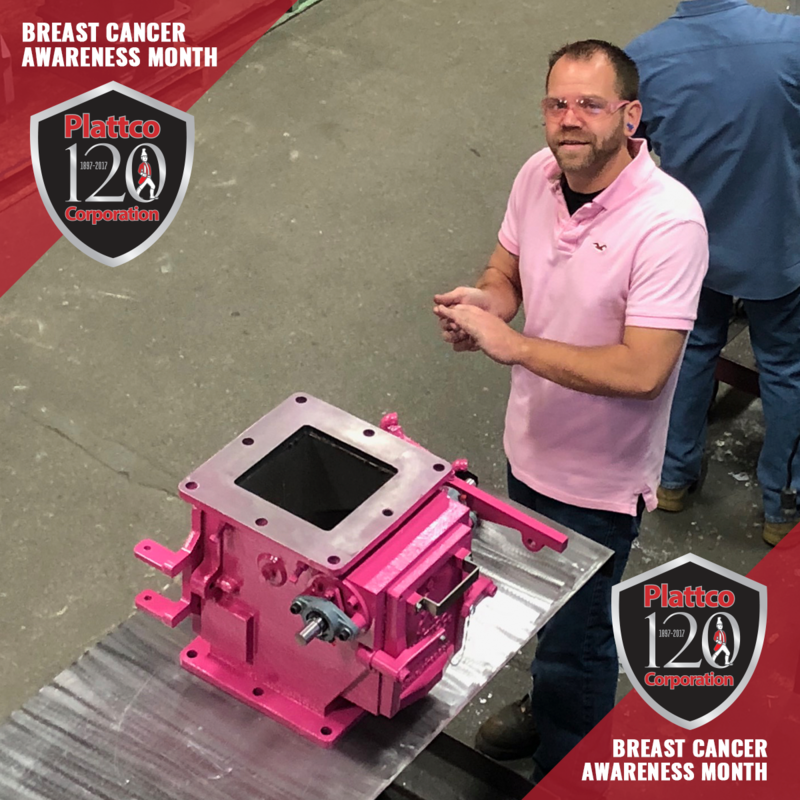 Special projects and events like this help bring Plattco’s customers, suppliers and employees together to raise awareness about a disease that has impacted many of our lives! 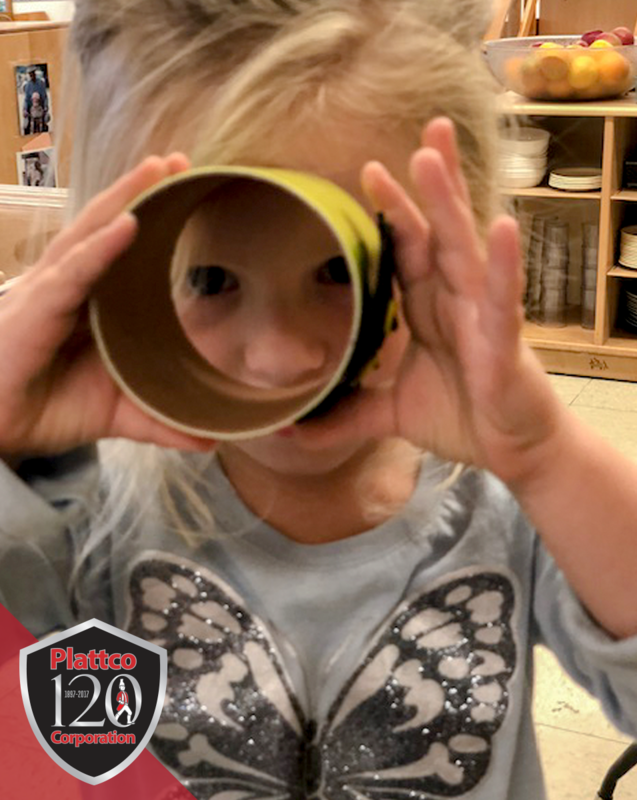 At Plattco, we believe in investing in the local community to promote exciting careers at not only Plattco but also in manufacturing. 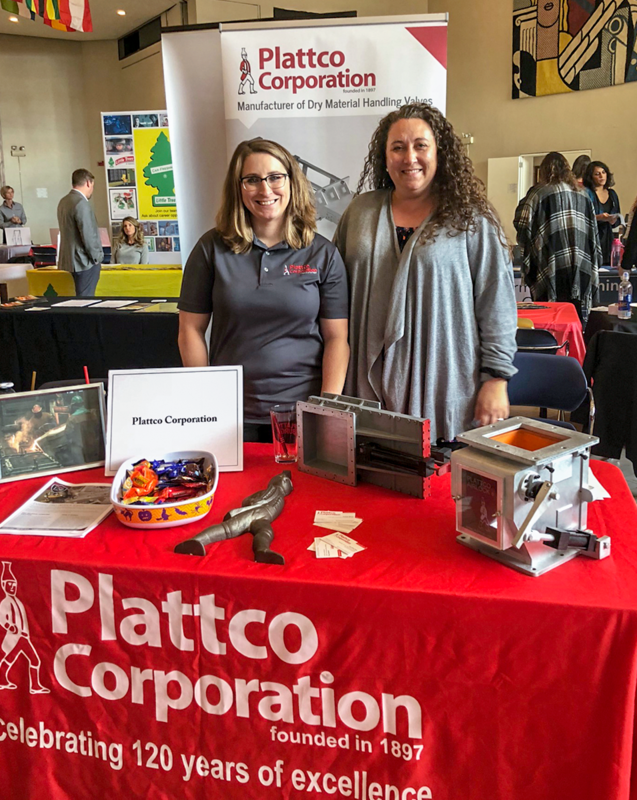 Lee Ann Pray (HR manager) and Ashley Miner (Inside Sales Coordinator) spent the day with students at SUNY Plattsburgh’s career and internship fair scouting for talent and collecting resumes for current and future positions while answering general questions about the type of skills that are crucial when helping college students obtain jobs after graduation. 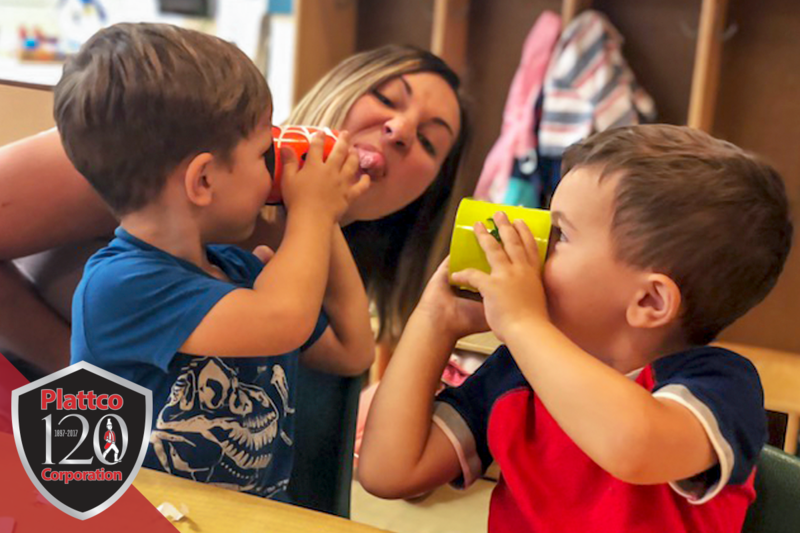 When R&D engineer Kevin gauy and sales and marketing manager Danielle Ross learned that the kids at Sibley Hall preschool were bummed that their field trip to the apple orchard was cancelled due to rain they hopped into action! 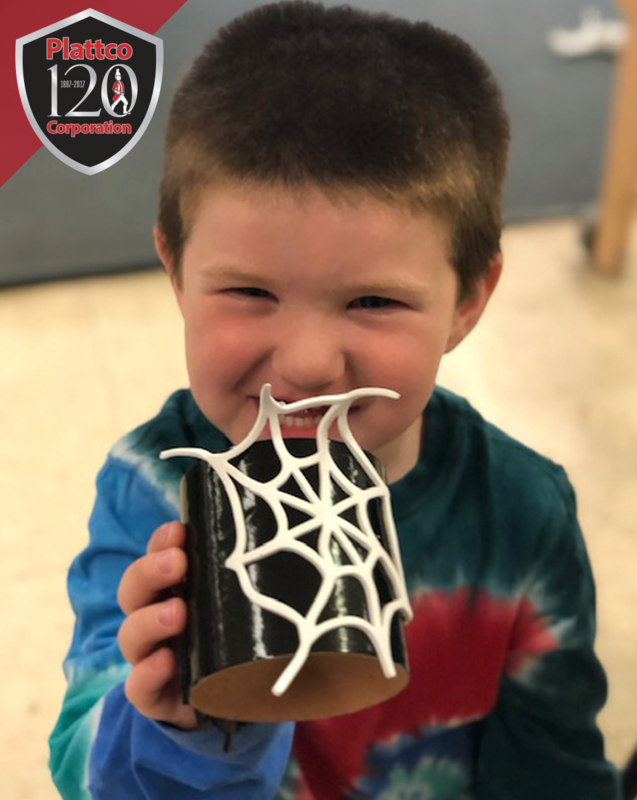 PLATTCO has left over fall crafts from an employee party last fall and they grabbed their supplies and spent the morning with a great group of toddlers making frames and spooky crafts. 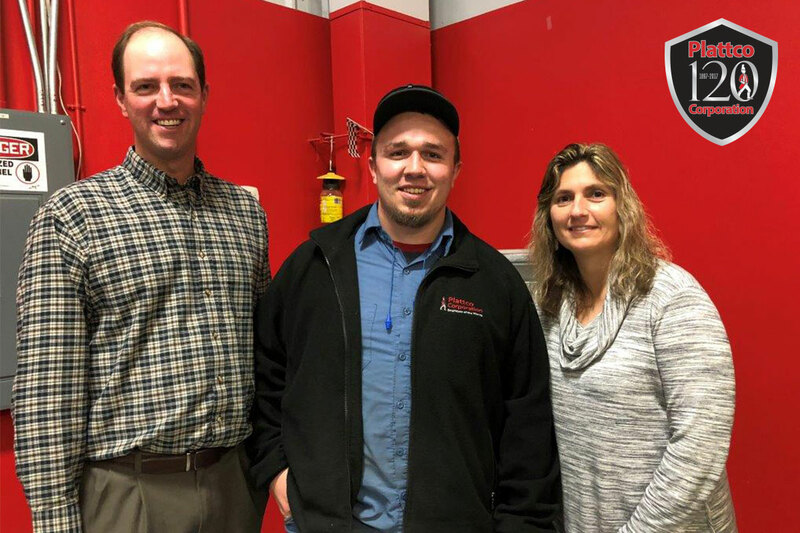 Just another way Plattco’s employees are the driving force behind making a difference in the lives of not only our customers but our local communities. 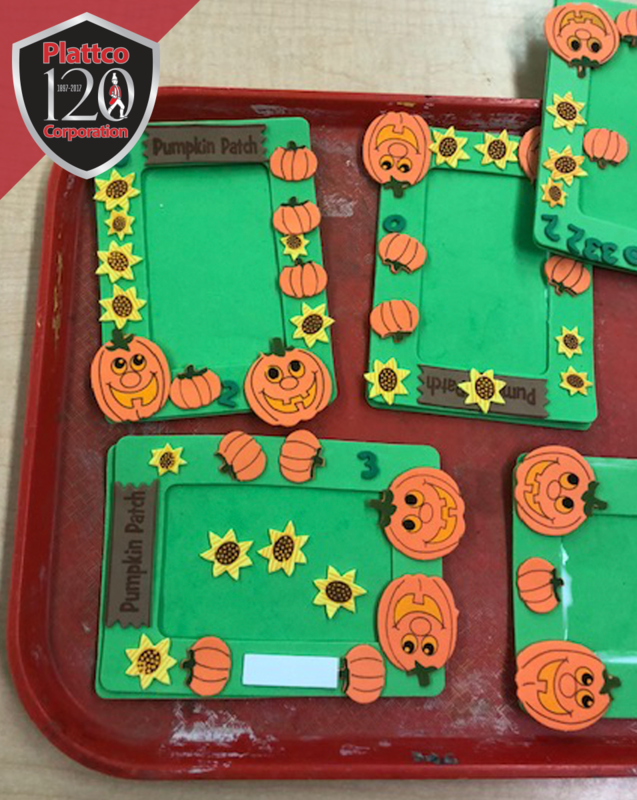 We recognize it’s not always about building valves but sometimes it’s important to build some fall frames! 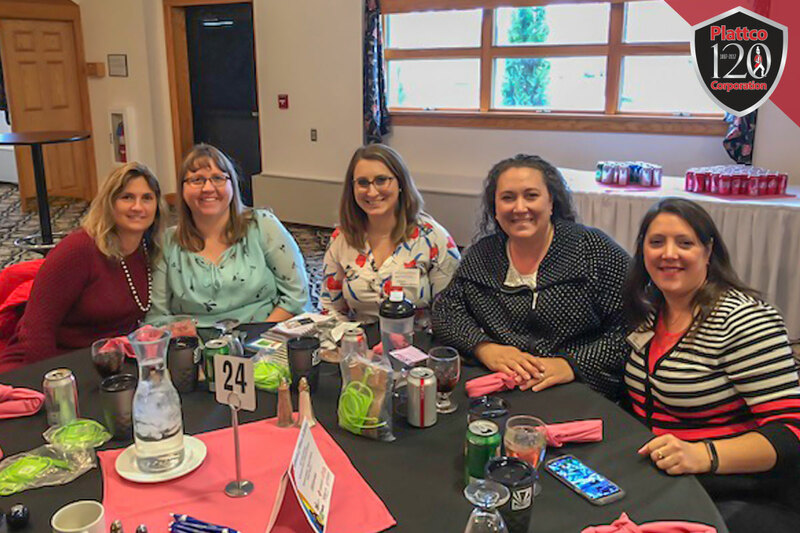 Today PLATTCO was proud to participate in the Women in Business workshop sponsored by the North country chamber of commerce at the west side ballroom. 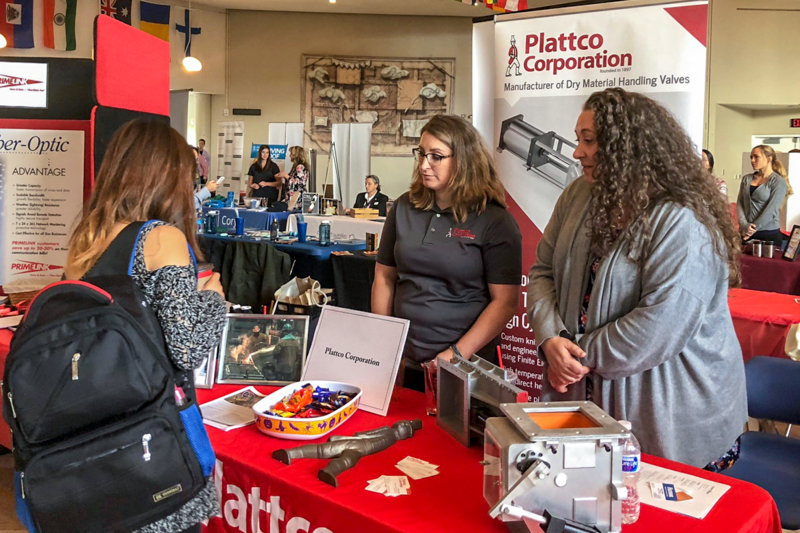 PLATTCO is proud to support women in business and values our diverse workforce. 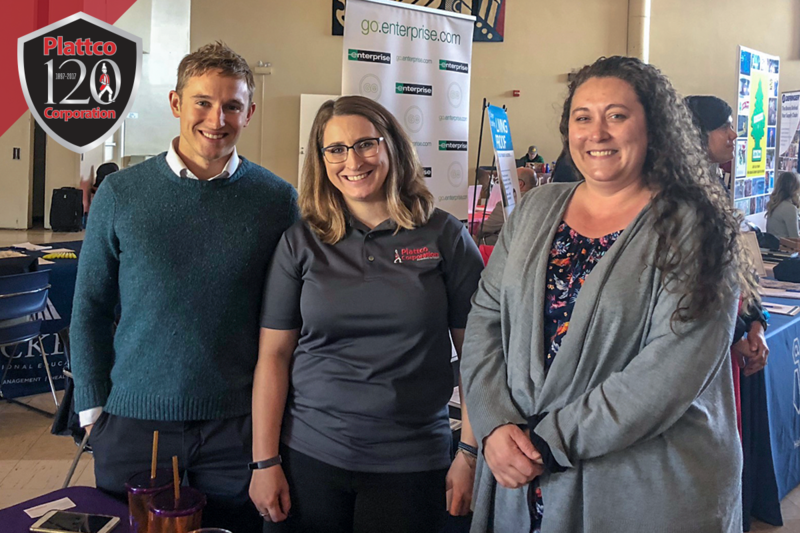 Employees from PLATTCO participated in panel discussions ranging from self defense to improving communication styles and leadership abilities. 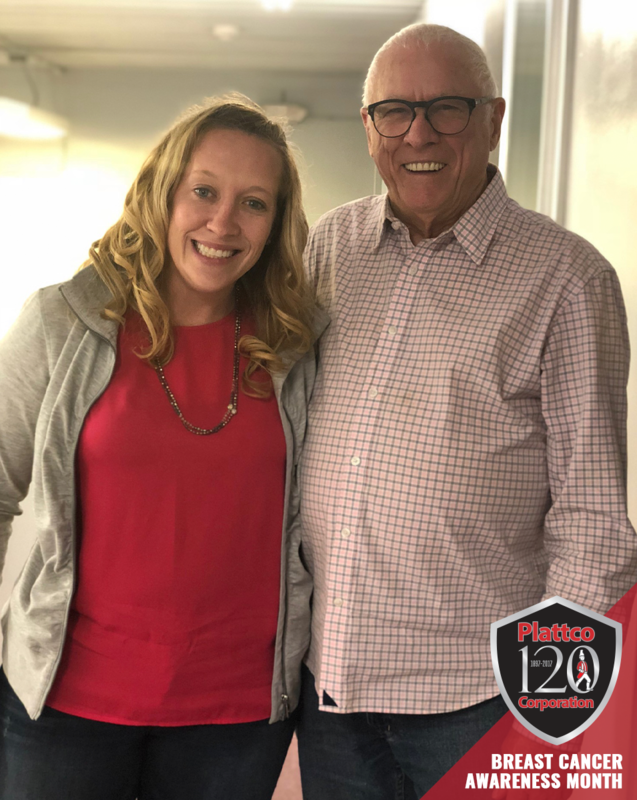 At PLATTCO we recognize the importance of investing in the continual professional and personal development our Employees. We are proud to support this event along with Adams Brothers Painting. 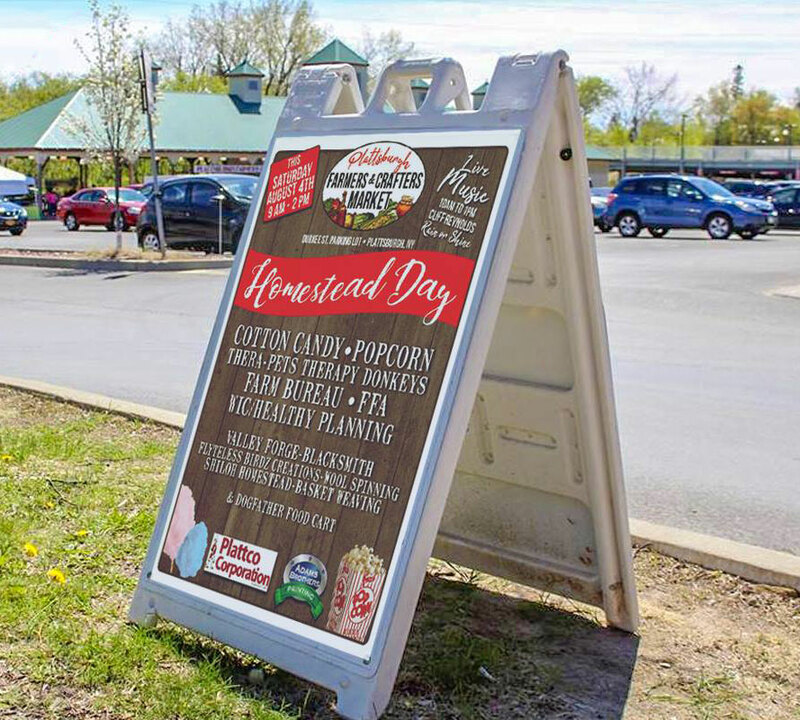 Here at Plattco, we think it's important to support our community and vendors at the local Farmers Market. 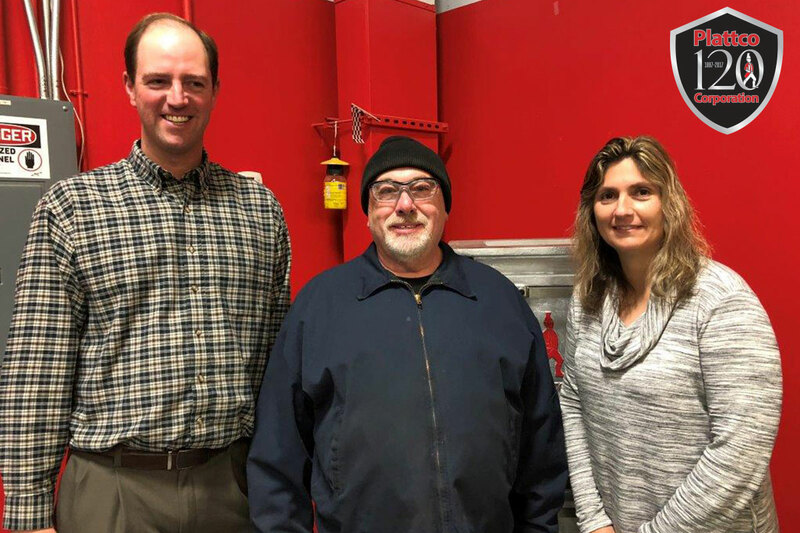 The best part of being a small, employee-owned company is the fact that we're really like a big family! 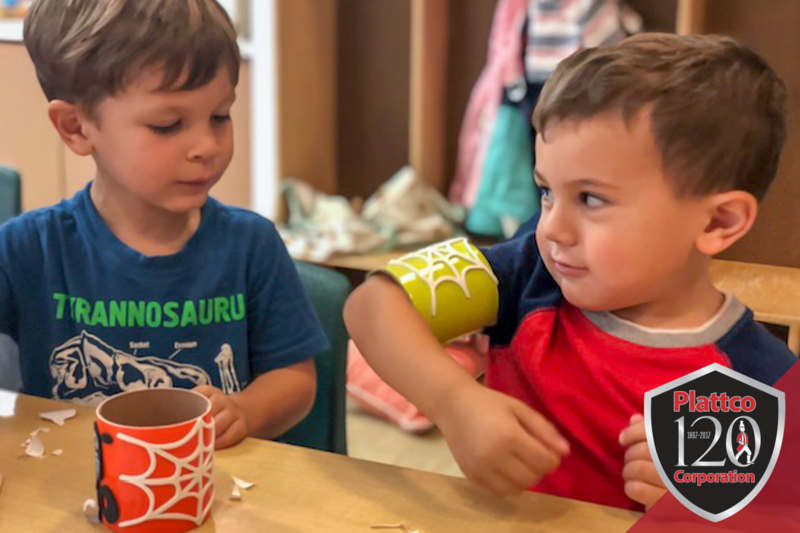 In and out of work our employees enjoy spending time together in the community. Plattco was proud to play in the North Country Chamber of Commerce / Northern Insuring Agency, Inc.’s Golf Tournament. With all the fun that we had, it’s no wonder this tournament (put on by two spectacular organizations) is referred to as the best in the area! 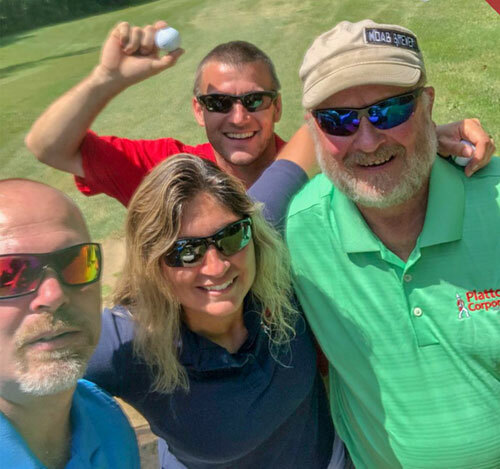 Michele Derrigo-Barnes, Neil Stevens, Nolan Ryan and Steve Phillips all took to the greens for a day to show our support for the local community and support our local chamber! 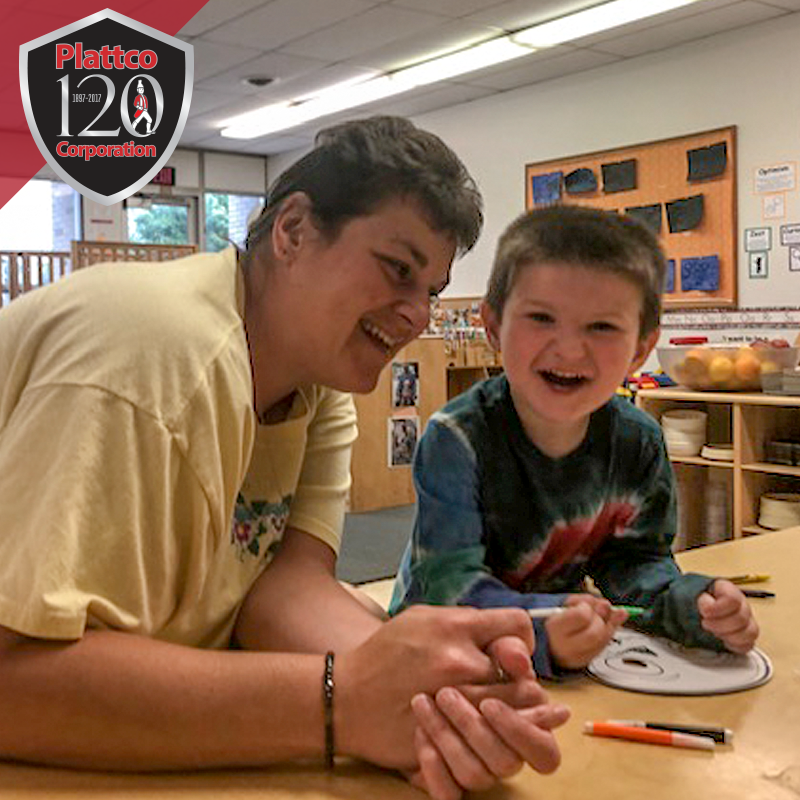 Plattco has been involved in the local community for 120 years. 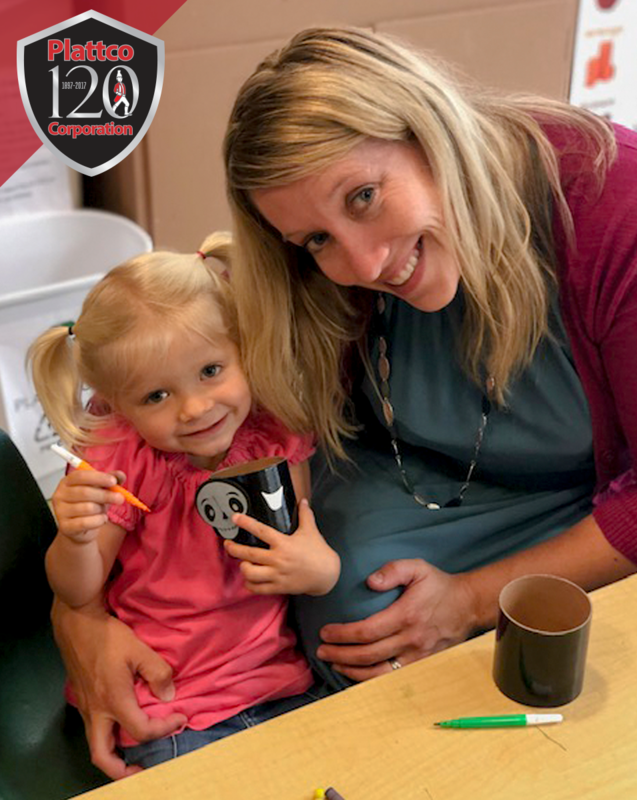 We are always looking for ways to engage with the local community – pictured here is a new mom taking a break while walking her baby. 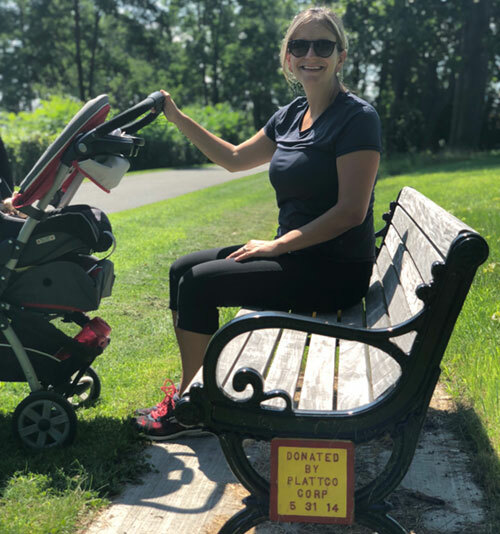 Plattco has sponsored many things in the greater Plattsburgh area, including this park bench that is still getting used today 4+ years later!